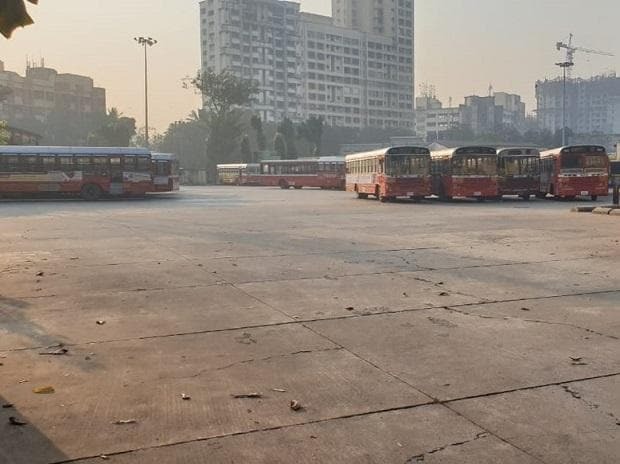 The Bombay High Court has directed the BEST workers' union to take a final decision on the withdrawal of its ongoing strike by Tuesday evening and inform the court on Wednesday. The direction came after the Brihanmumbai Electric Supply and Transport (BEST) told a bench of Chief Justice Naresh Patil and Justice N M Jamdar that it was willing to implement the redressal measure suggested by a high-powered committee on granting an interim pay hike to its employees. The counsel for BEST, M P Rao, told the bench that the corporation was "open to implementing a 10-step increment" for its employees with effect from February this year. The increase, however, will be implemented subject to the fact that the strike was called off this (Tuesday) evening, Rao told the bench. As per the previous submissions made by the BEST workers' union and the Brihanmumbai Municipal Corporation (BMC) in the court, a 'one-step' increase in pay for BEST workers amounts to around Rs 330 per person per month. In compliance with the court's previous orders, the state government through Advocate General Ashutosh Kumbhakoni, submitted a list of measures recommended by the committee to address the demands raised by the workers' union. The committee, headed by the Chief Secretary, was constituted by the state last week. The committee in its report, has recommended among other things, that subject to the strike being called off, as an interim measure, workers be granted a '10-step increase' in salary for about 15,000 employees in a time-bound manner. This amount of increment, however, will be subsumed in the final agreement. It also recommended that upgradation and modernisation measures be implemented within the BEST, but no existing employees should be retrenched. The bench has been hearing since last week a Public Interest Litigation (PIL) filed by lawyer Datta Mane, urging the court to pass interim orders directing the BEST workers to call off the strike immediately. Around 38,000 BEST employees have been on strike since the last eight days now. Some of their demands include a pay hike, revision of pay grade for junior level employees, and the merger of BEST's budget with that of the BMC.